Contributing to the overall smell that is otherwise unpleasant in your home are the host of sources emitting odors. To completely eliminate odors, you have to remove the source and from there you can effectively clear odors from your home. Where sometimes it can be a challenge to realize what is causing the odors, most of the time the source is obvious. For example, sitting on the sofa after being away from it for the day can activate an assault of foul smells on your nasal passages. The sofa is frequently a happening spot in the home where the occupants lounge to read, watch tv, visit with another, and even sleep. Whether you permit it or not, the pets will also take advantage of the comfort the sofa offers. As a result, sweat, food and beverage spills, vomit, pet accidents, and so on will eventually accumulate enough to produce unwelcome odors. Today we at Go Green Carpet Cleaning & Restoration would like to share how you can treat your sofa and remove the odors coming off of it. The most effective, efficient, and to ensure maximum results, a professional sofa cleaning can not only remove the odors, but the penetrated dirt and debris as well as the spots and stains. To keep your sofa in good health, prime condition, and potentially extend the lifespan, manufacturers recommend a professional deep cleaning service once or twice as year, or more if needed. With a professional cleaning, the powerful equipment and premium products can deliver the ultimate clean and freshness. A lot of the reasons for the odors are due to protein-based substances such as sweat, pet accidents, vomit, and other such bodily fluids coming from you or your pets. To remove any existing stains and the attached odors, you need an enzyme upholstery cleaner. Be sure to follow the directions on the label if this applies. To treat additional odors and spots/stains from your sofa, follow the steps below. 1) Prep. First step is preparing the sofa for the odor removal solution by thoroughly vacuuming the surface dirt and debris with the vacuum’s hose and attachments to get under the cushions all around the cushions and in every crevice. 2) Enzyme Cleaner. If the odors are originating from pet accidents, sweat or other protein-based stains, use your upholstery cleaner with enzymes according to the instructions on the label. 3) Odor /Stain Removal. In a bucket or bowl, combine 2 cups lukewarm water and 2 cups distilled white vinegar, slowly stir in 4 tablespoons of baking soda, ensuring it is well dissolved. If there are presently stains, add 1 tsp of mild dishwashing soap. Transfer the solution in the squirt bottle to apply it easily, or you can treat a clean cloth in the solution and sponge it on the inflicted area. After you applied the solution to the designated areas, let the formula work for 5-10 minutes; do not over saturate. Use a clean, damp cloth to blot the solution, any spots or stains, clean. 4) Finishing Steps. After you have finished blotting, carefully sprinkle baking soda on the damp surface and let it absorb the remaining moisture and odors for several hours or overnight. Vacuum the dried area and baking soda particulates thoroughly. Odors can be a challenge to combat. If you are having problems with the odors and efficiently removing them, call Go Green Carpet Cleaning & Restoration and let our experts deep clean your sofa to efficiently remove the odors, extract the filth, and remove any spots and stains to make your sofa clean and fresh. Contact us today. The carpets in our homes put up with a lot of abuse. Dirt, spills, pet messes and dust mites can have your carpet fibers caked with dirt and grime. Not only will your carpets look bad, they’ll smell bad too. It’s time to schedule an appointment to have them cleaned. Traditional carpet cleaning uses chemical-filled products that can be harmful to your carpet, your health and the environment. Green carpet cleaning has its advantages. It delivers fresh, clean carpets without any toxic chemicals. 1. Less air pollution. Traditional carpet cleaning isn’t good for the environment because it uses harsh chemicals. These chemicals also stay in the air long after the carpets have been cleaned. After the carpets have been cleaned, the dirty water and toxic chemicals may be exposed to the local water supply. Many of the cleaning solutions purchased at the store uses harsh cleaners to get stains out of the carpet. Yes, the carpet will look clean, but there will be toxins lingering in the air that you and your family will breathe in. Choosing green cleaning ensures that the cleaning solution used are nontoxic and biodegradable. This is better for the health of those living in the house and the environment. 2. Health protection. The health of you and your family is at risk when chemical carpet cleaning is performed. There are fumes left behind that can cause health problems, more harmful for children and pets that spend more time low to the ground. People with respiratory issues may also be at risk. Symptoms associated with exposure to carpet cleaning chemicals: nausea, coughing, sneezing, headaches, asthma attacks, congestion, migraines, eye, ear and lung irritation and fatigue. These cleaners will release vapors into the air and open windows will not eliminate the fumes entirely. 3. Reduced water waste. Another benefit of green cleaning is that is doesn’t use nearly as much water as tradition carpet cleaning. Lots of water is wasted with traditional cleaning which means more water is discarded after the carpets are cleaned. This also puts hazardous material into the water supply. This means that carpets will also dry much faster with green cleaning and the risk of mold and mildew is reduced. 4. Extended carpet life. Green cleaning is better for the beauty and life of your carpet. Toxic chemicals that remove stains will also cause carpet fibers to breakdown and cause them to deteriorate more quickly and you’ll need to replace it sooner than you’d like to. Carpets that are constructed with synthetic fibers do not react well with chemicals that are found in chemical carpet cleaners. The small price you’ll pay to have your carpets cleaned will be well worth it when you don’t have to replace your carpet sooner than expected. If you want to have your carpets cleaned without harming your health, the environment and the carpet, then choose an environmentally friendly green carpet cleaning process. Contact Go Green Carpet Cleaning today to schedule an appointment! How Do Your Remove Muddy Footprints & Paw Prints from Carpet, Rugs & Sofas in Chino, CA? Mud is commonly found in most of homeowners’ yards. Especially in the summer time when the water is plentiful from routinely watering the vegetation, summer rainstorms, and the kids engaged in the water activities, mud is easily created and frequently a part of the equation. Having pets with muddy yards increases the risk of discovering muddy paw prints, or footprints, trekked across rugs, carpets, and even on the upholstery. In an effort to help homeowners treat the muddy prints on these surfaces, we at Go Green Carpet Cleaning would like to share a recommended method to do so. The first and most important step is to do nothing when treating mud on any rug, carpet, or upholstery. Leave the mud to dry and fight the impulse to treat the mud. Professionals encourage people to promptly clean up the spills and this circumstance is of the few exceptions to that guideline. The muddy prints need to dry thoroughly. The reason being is that mud will just get spread out and pushed down into the fibers whereas the dry soil is easily vacuumed. 1) As mentioned, let the muddy paw print dry completely; once dried, vacuum as much of the dry soil as possible using the vacuum’s hose and upholstery attachments. 2) In a spray bottle, bowl, or bucket mix well 2cups cold water with 1 tbsp liquid dish soap. Use the solution to dampen a white cloth or sponge and use blotting techniques to clean up any remaining film. 3) It is important you do not make the upholstery too wet. Only use a damp cloth and if repeated application is needed, use a dry towel in between to blot with the pressure to absorb the excess moisture until the residue is clean. 1) Before vacuuming the the dry particulates, ensure the muddy print is fully dried. For more efficiency, keep in mind just because you don’t see dirt, doesn’t mean it is not there, vacuum the area in multiple directions and slow, steady pace. 2) For easy use, bring the following ingredients in a squirt bottle: 2 cups cool water, 2 cups white vinegar, and 1 tbsp mild liquid dish soap. Administer the remedy to any residues that won’t vacuum cleaning. After lightly dampening the area, use a dry cloth or towel to remove excess moisture and the residues with it. 3) Onto the damp surface, generously sprinkle baking soda and allow it to set for a few hours for it to completely dry; vacuum the baking soda fully. 1) Let the muddy paw/footprints completely dry and vacuum the dried soil slowly and in different directions. The dirt may not all be visible, so it is important to be thorough. 2) Any lingering remnants can be dissolved with 1 tsp mild liquid dish soap, 2 cups warm water, and 2 cups white vinegar well mixed in a spray bottle. 3) Apply the DIY cleaner to the affected area by spraying the surface lightly; you want the surface to be slightly damp, not wet. 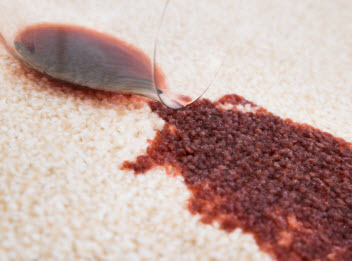 Use a dry towel or cloth to blot with pressure the moisture and lingering residues from the carpet. To maintain healthy carpets, upholstery, and rugs, they should be vacuumed regularly and professionally cleaned one or two times a year; or more frequently as required. For a comprehensive deep clean, choose Go Green Carpet Cleaning! Now that Summer vacation is coming to a close and the kiddos are preparing for another school year, your home will see a lot less foot traffic than it has the last three months. Pool parties, Summer barbecues, sleepovers and friends visiting has probably left your floors in much need of a little TLC. There is no better time than now to have Go Green Carpet Cleaning & Restoration deep clean your floors back to squeaky clean! The next phase of the year is quickly approaching, the holidays will be here before we know it. Getting all the Summer grease and grime taken care of now will leave you more time for baking and entertaining when the hustle and bustle of the holidays ensues. So, after your floors have been deep cleaned, what are some ways you can keep them looking cleaner longer with the kiddos coming in and out after a long day at school? We’ve got some great recommendations for you! Kids pick up all kinds of foreign contaminants on the playground and at school that we don’t want drug back into our homes after a steam cleaning. If you haven’t already implemented the no shoes inside policy, now would be a great time to start. 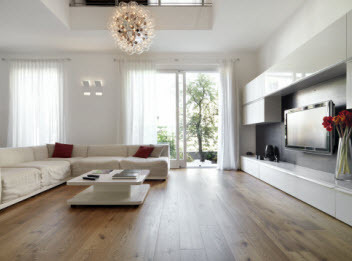 High traffic areas in your home will get dirty the fastest. Black marks on our floors come from the pavement, asphalt and dirt our kiddos play on all day. If we have everyone take their shoes off at the door, this eliminates about 70% of the staining that occurs to carpeted flooring. A great way to implement this rule is to keep a basket by the front door, stocked with fuzzy socks or house slippers as a fun way to enforce that everyone takes their shoes off before they come inside. Setting up a special place in your home where the kiddos can hang their backpacks after school will aid in keeping your home cleaner as well. Backpacks tend to get thrown around quite a bit during the day and pick up a lot of dirt and grime too! If backpacks get thrown onto your floors, chances are all the things that get stuck to the bottom of their backpacks will get all over the floor too! Wipe off the bottoms of their back packs now and then with a damp cloth, occasional washing of their back packs is a plus too because they get dirty fast! Many kids don’t finish all their food at lunch and the occasional drink gets left inside their lunch boxes. Lunch boxes should head straight to the kitchen and not left out on the floor. Old drinks can leak and lunch from that day can end up on your carpets. Always double check to make sure their lunch boxes are emptied at the end of the day. Small things add up to big ones when it comes to making your next steam cleaning last for as long as possible. Let’s face it, with kids nothing is guaranteed, but doing these small tasks everyday will aid in keeping your floors looking squeaky clean for the months to come! Give Go Green Carpet Cleaning & Restoration a call to schedule your home’s next hot water extraction steam carpet cleaning!